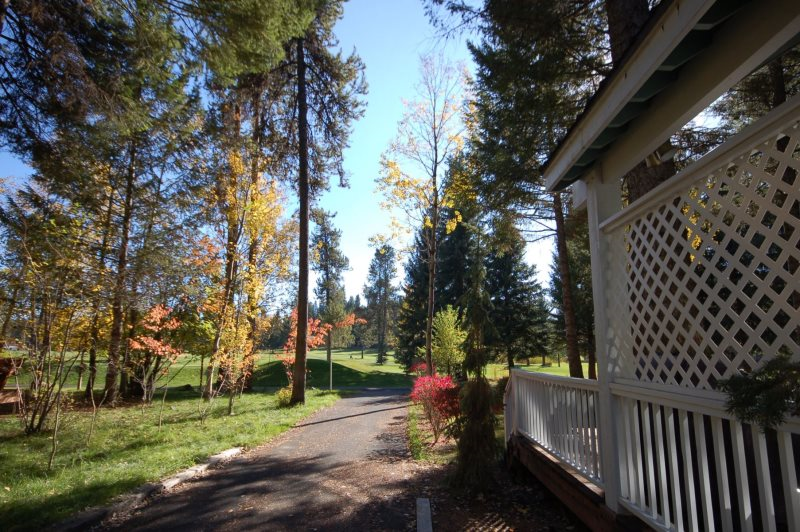 Lovely course front, executive home with expansive lawn and old growth Fir trees. Furnished, covered back deck with gas grill for dining outdoors. Pet friendly dog run across grassy, open back yard. Elegant living area with gas fireplace and big screen TV with plenty of comfortable seating for gathering friends and family. Open floor plan allows easy access to large dining room and spacious, well stocked kitchen. Downstairs a guest suite (#1) with queen bed, Bunk set with twin over queen bed and twin trundle, television and games with a ladder access loft space. There is a hallway access, full bathroom. Bedroom #2 has (2) twin beds and attached, full size bath. The second level has an open, wood banister hallway that looks down into the living area and accessing the upstairs bedrooms. 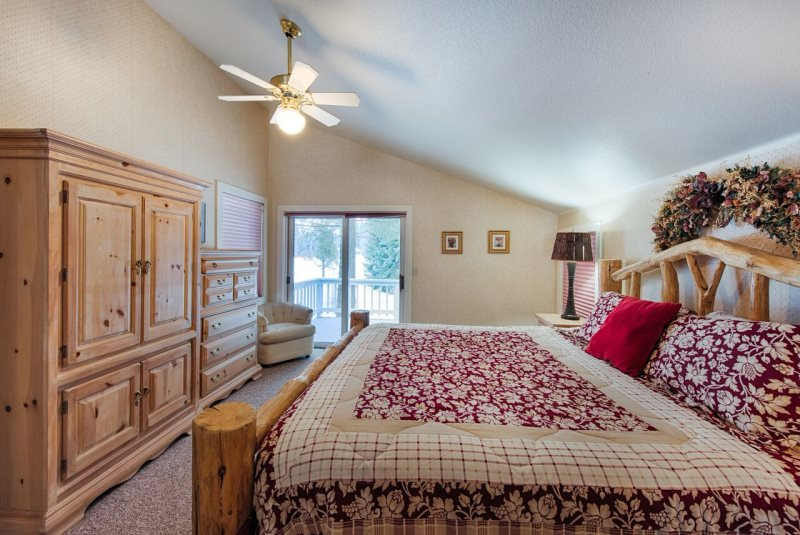 The Master Suite with King bed with two, twin trundles and has an attached bath with Jacuzzi tub and a private access deck. Guest Bedroom #3 also has a Queen bed and attached bath. Large driveway could easily accommodate three large sled trailers and cars or your boat! Just ten minutes from back country access and lake, trophy fishing and five minutes from Ponderosa Park where you can enjoy cycling, hiking and swimming. 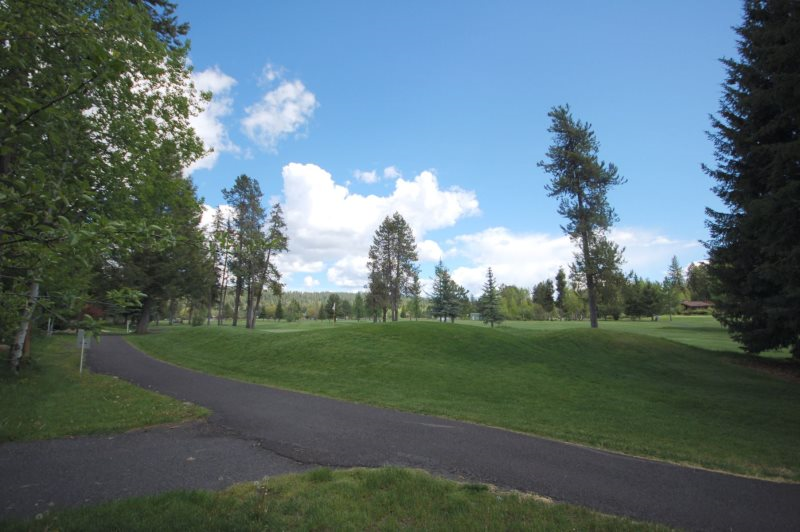 Get the family together and make the most of what McCall has to offer at lovely, course front home. 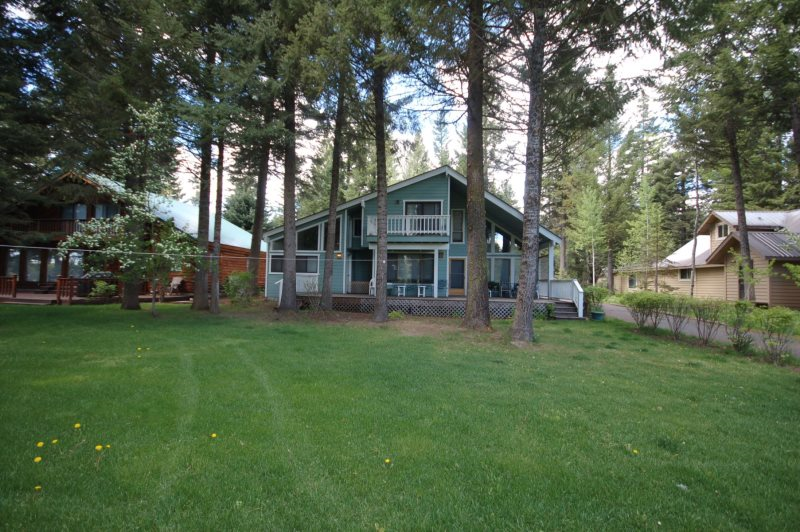 Pet Friendly Golf course frontage This is a Kutter's Korner recommended Pet-Friendly lodging property in McCall Expansive, furnished lower deck Outdoor gas grill Grassy lawn Aerial dog run (wire) in backyard Large, off street parking area for vehicles and trailers. Propane fireplace Jacuzzi Tub WiFi Big screen television with satellite/cable Private deck off upstairs bedroom Accommodate even more guests and rent the neighboring property, Northern Lights.